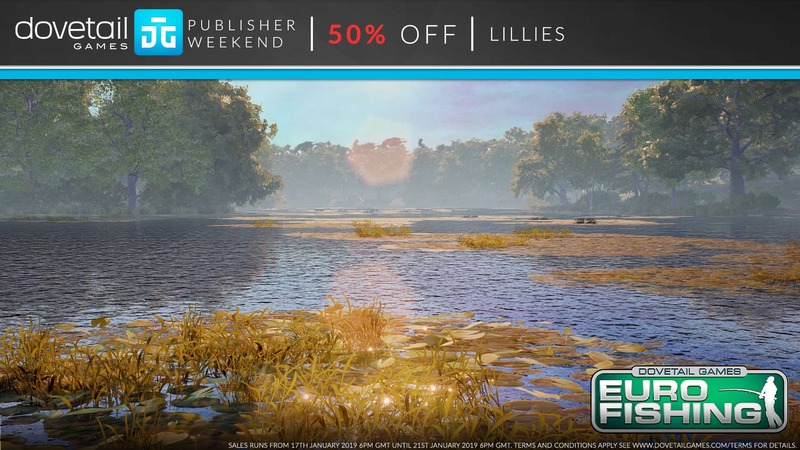 The Dovetail Games Publisher Weekend has started on Steam. 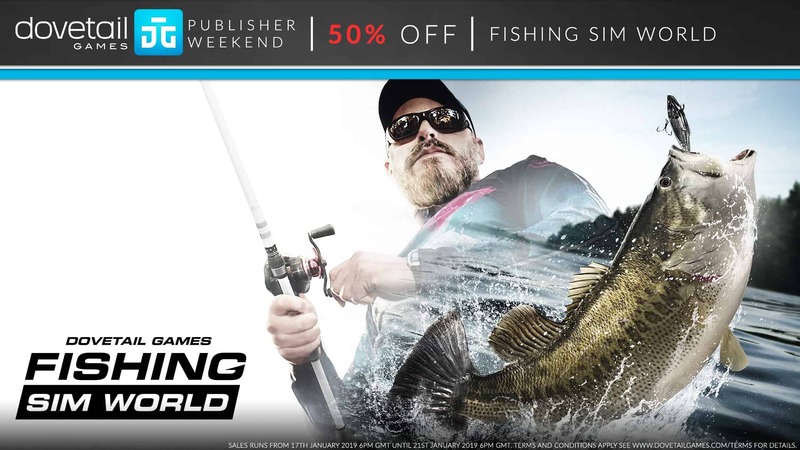 From 6pm GMT on Thursday 17th January until 6pm on Monday 21st January you can get 50% off Fishing Sim World Standard and Deluxe Editions. 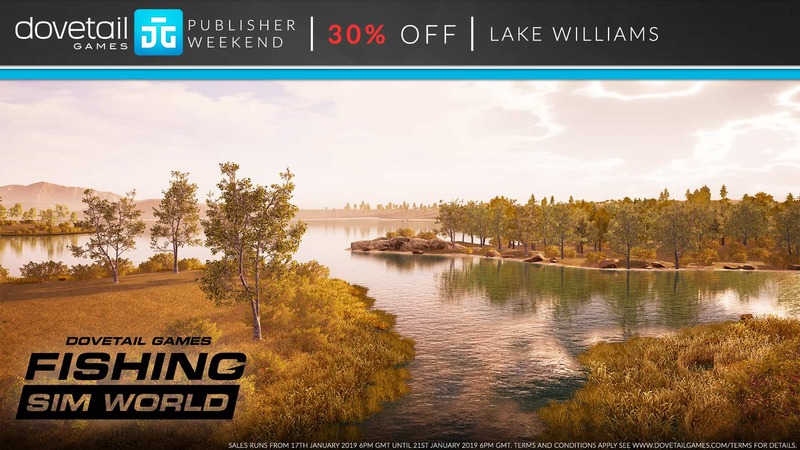 Lake Williams will also have a 30% discount on it. 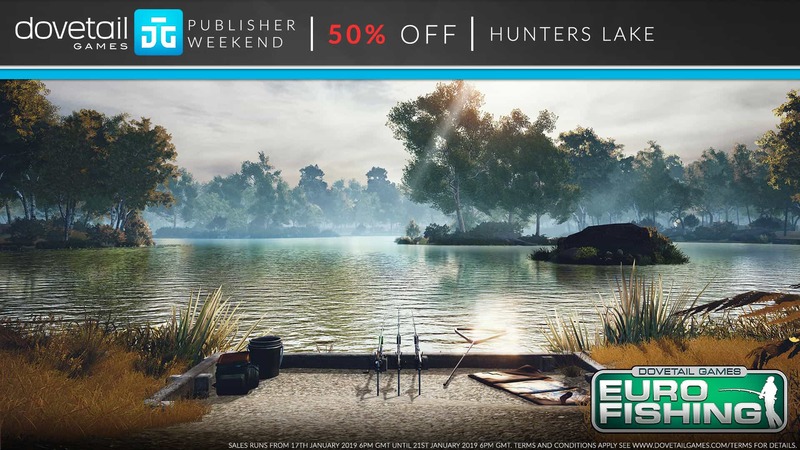 There also great deals on Euro Fishing with 75% off on the base game and up to 60% off the add-on lakes.